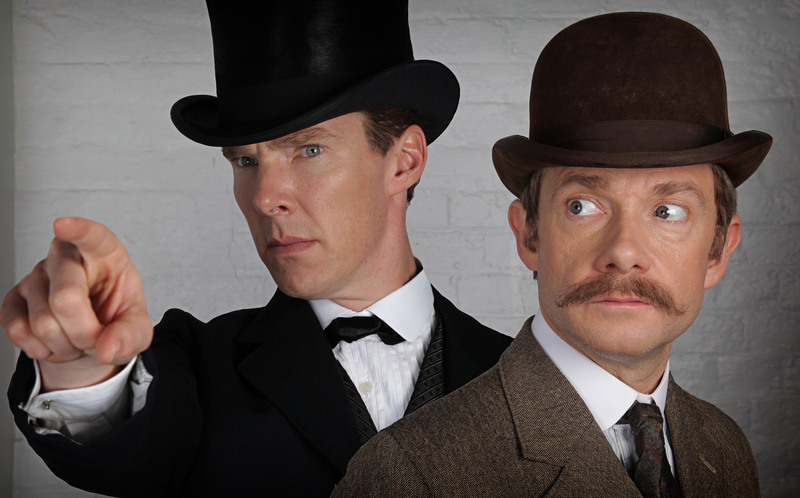 The much-talked-about new Sherlock special is due to air around Christmas time, series creator Steven Moffat has confirmed. While the special has been widely speculated to air at Christmas before now, no confirmation from the BBC had been given beyond that it would air in the winter season. Moffat confirmed to Collider that the one-off special would air around Christmas time, though probably not on December 25 as it is “too crowded”. The few clips and pictures we’ve seen from the special have appeared to be a winter setting, with Benedict Cumberbatch and Martin Freeman clad in warm Victorian clothing. The special is confirmed to be set in Victorian times and to be unrelated to the series, but will use the same cast. Speaking in July to Entertainment Weekly about the special, Moffat said: “The special is its own thing. We wouldn’t have done the story we’re doing, and the way we’re doing it, if we didn’t have this special. It’s not part of the run of three episodes.